It's a sad turn of events in the production of a movie which many rock fans have been anticipating. 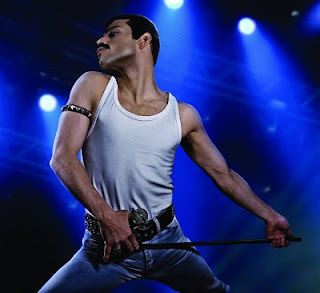 Bohemian Rhapsody, the biopic of Queen singer Freddie Mercury now needs a new director, with just a couple of weeks of shooting left, after Bryan Singer has been fired. Singer, whose resume includes The Usual Suspects and the X-Men films, left the set just before Thanksgiving for the holidays and never came back when shooting was to resume. A statement from his management said that he was attending to a family situation and would be back after the holidays, but a month-plus break in shooting was just too long for the studio. The Hollywood Reporter is now saying that it wasn't just this incident that caused them to fire the director. Rami Malek complained to the studio that Singer was a problem for "not being present on set, unreliability and unprofessionalism". Reports say that the two got into a heated argument one day that ended with Singer throwing something although there was no physical confrontation between the director and actor. In addition, Tom Hollander, who plays manager Jim Beach, briefly quit citing Singer's behavior. It has also been revealed that Thomas Newton Sigel, the cinematographer for the film, tried to step in to the directing position but the studio was forced to shut down production last Friday. Word is that a new director will be named in a couple of days.